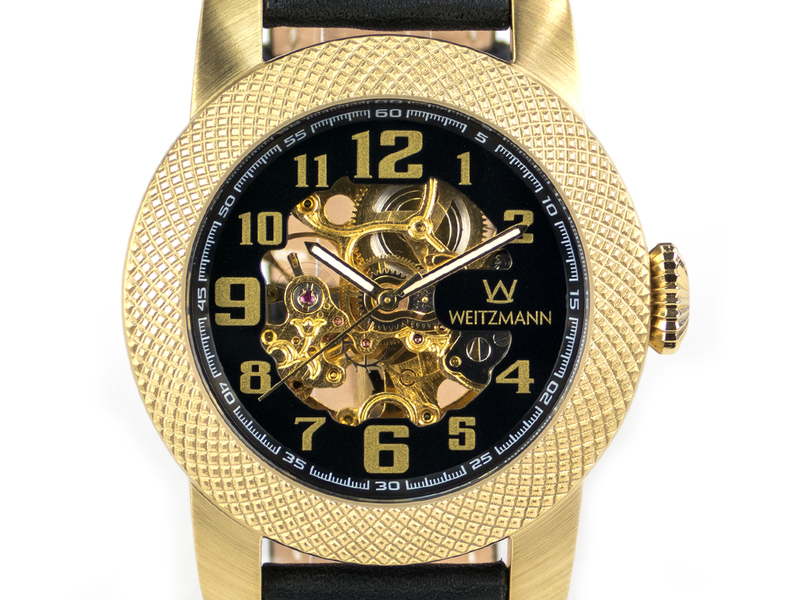 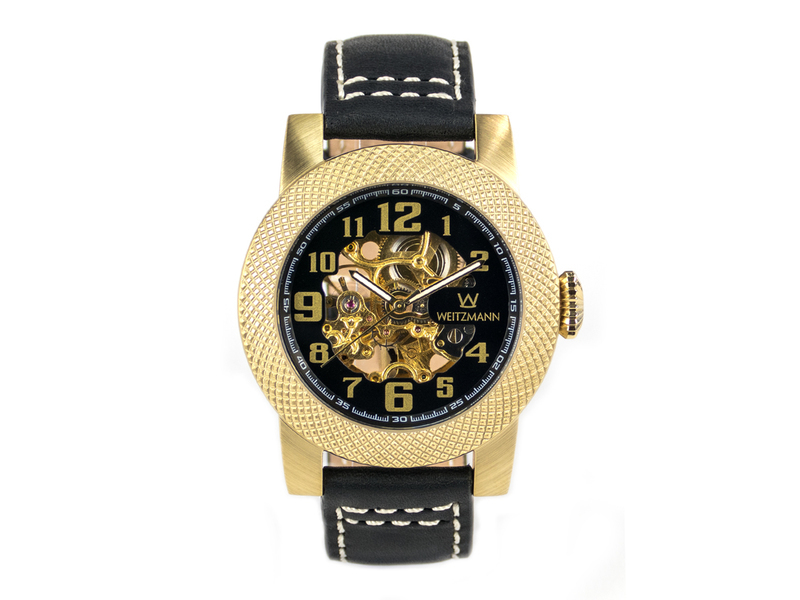 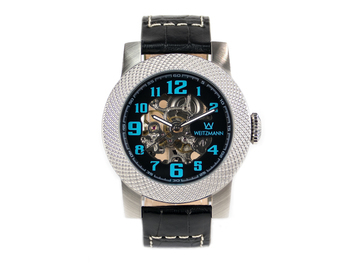 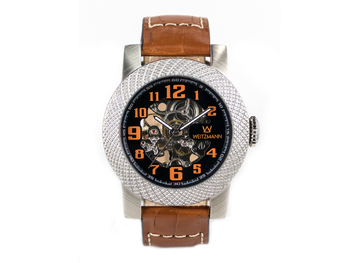 This WEITZMANN self-winding skeleton watch „SCORPIA“ is manufactured in a limited quantity of only 500 pieces each style following the traditional art of watchmaking and offers deep insights! 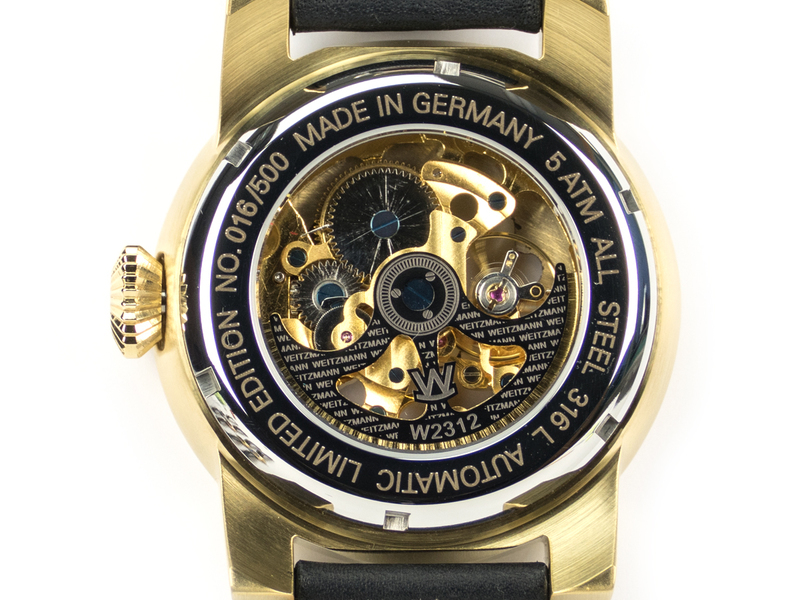 Outstanding feature of this exceptional timepiece (diameter 47 mm, height 13 mm, 5 ATM) made of stainless steel (316L) is not only the see-through glass back of the case but also the exposure of the exclusively for this watch refined quality self-winding movement W2312 by using a minimized cut out dial. 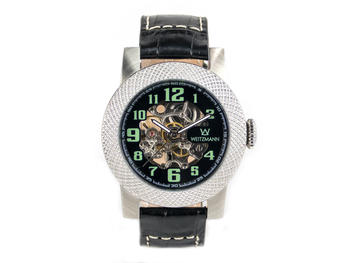 Hereby the mechanical details of timekeeping can be experienced in a new perspective “on the job”. 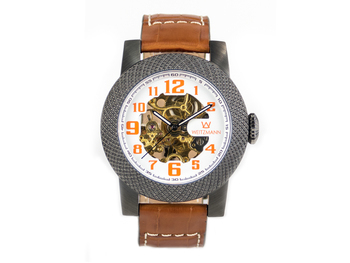 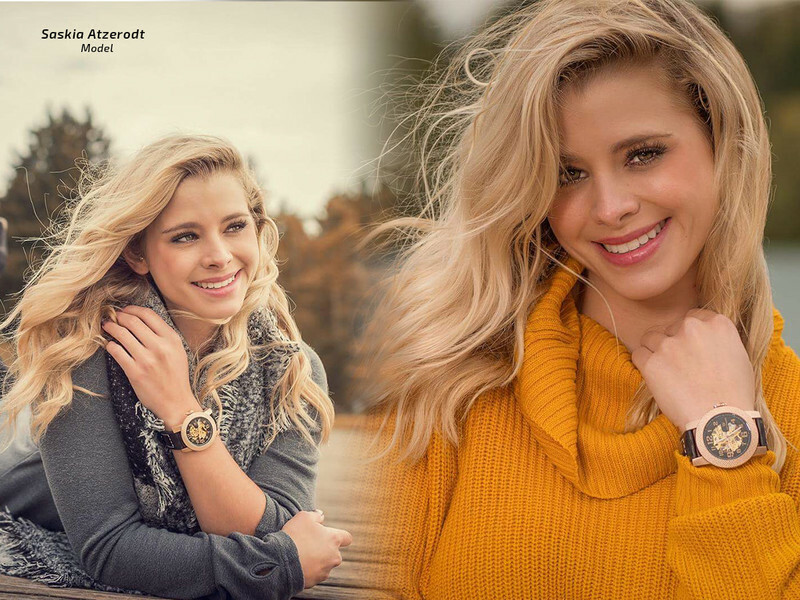 The genuine cowhide leather strap with alligator pattern (band attachment width 22 mm) is handmade in Germany and completes the outstanding prime quality of this lovely self-winding watch by ensuring elegance and wearing comfort on the highest level! 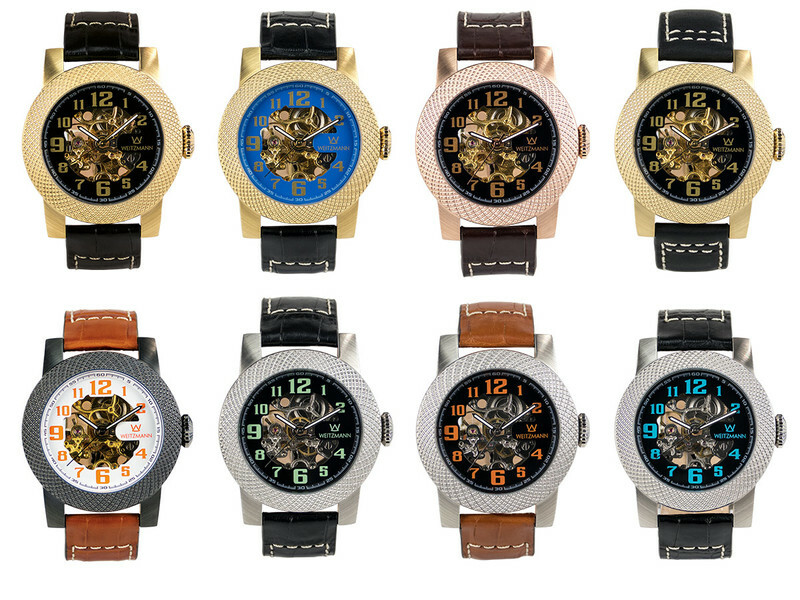 This version of the skeleton watch is characterized by a stainless steel case and self-winding movement in the colour gold. 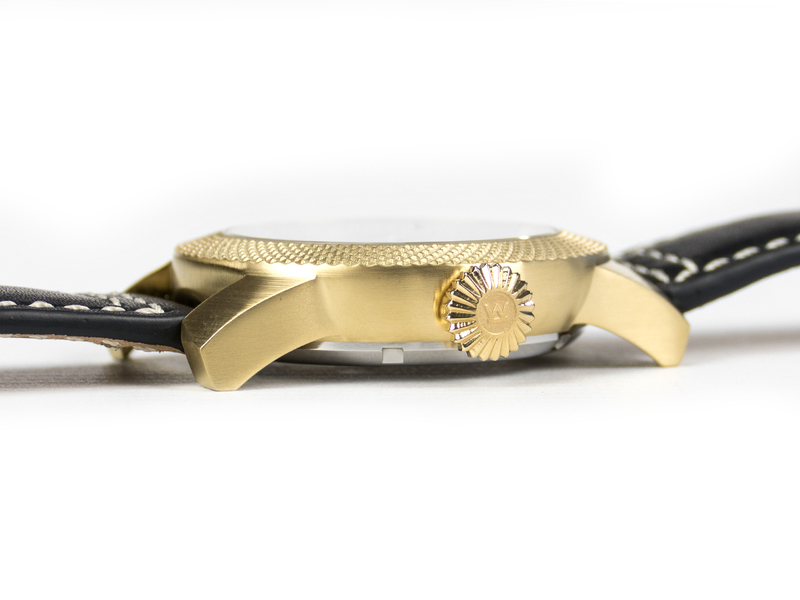 The golden markers on a black cut out dial adapt the appearance of the watch.